There is a lot of harmony between hobbies and entrepreneurship. From one perspective, turning a hobby into a business is a very common way for aspiring entrepreneurs to dip their toes into business ownership by leveraging something they are already very passionate about. Check out Anne-Marie Faiola's Bramble Berry, Tom Jansen and Amanda Buhse's Coal and Canary Candle Company, and Nadia Shuaib's Budget Electronics. The common theme among each of those stories is the success that can come from building on a hobby you already love and using it to launch your career as an entrepreneur. From another perspective, just having a hobby—even when it is not directly related to your business—can make you a more successful entrepreneur. One study found that those who are more engaged in creative activities did better at work and ranked higher in terms of performance than those who didn't. When you consider the fact that to be successful you need consistent downtime in your small business, it makes complete sense to turn to a pastime that has a few entrepreneurial perks. While many hobbies have the potential to provide benefits that can improve your level of success as an entrepreneur, the hobbies listed here are a great place to start for just about anyone. Have you seen any of the articles lately, touting puzzles as tool for maintaining brain health? 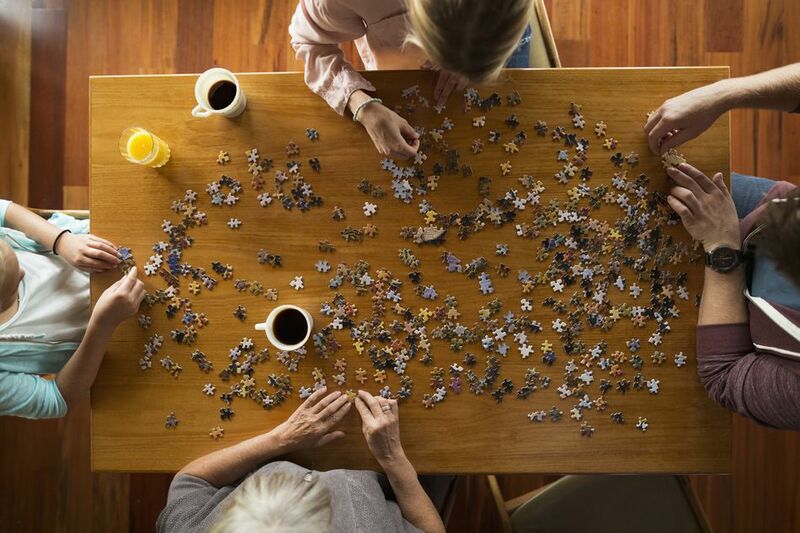 This probably isn't surprising; you know the brain power that comes into play when you do crossword puzzles, jigsaw puzzles or even number games like Sudoku. Taking it a step further, crossword puzzles can preserve cognitive function, and jigsaw puzzles can enhance memory, build problem-solving skills and induce a state of focused meditation. All of this things can add an element of balance to your life and your business, making puzzles an excellent hobby for exercising your brain and keeping it in tip-top shape for all of the mental challenges you may face as an entrepreneur. Gardening is a hobby that not only gives you hands on experience in a valuable real-life skill, but it has also been shown to reduce stress, improve mental health and provide a low-impact form of exercise. In fact, one study found that gardening can fight stress and improve your mood better than other leisure activities, which is something every entrepreneur can probably benefit from. We also can't ignore the perfectly tangible benefit of gardening—producing heathy and homegrown fruits and vegetables that can improve your level of nutrition. Studies have shown that there is direct evidence that learning how to play a musical instrument has a positive biological effect on children's developing nervous systems. Playing an instrument can improve the academic performance of children while encouraging them to actively engage in their studies. The better news is that these—and more—musical instrument benefits apply to adults, too. If you want to improve your cognitive function, boost memory, become more coordinated, relieve stress and become better at managing your time, pick up an instrument and make it your mission to learn how to play. Playing video games provides a lot of the same benefits as puzzles as far as problem solving goes. But it also helps improve your hand-eye coordination, fine-tunes your strategizing skills and enables you to think of the cause and effect of different decisions that you are faced with. If you play video games online and connect with other players remotely, you also get the benefit of being able to socialize. This is a big plus for solo entrepreneurs who generally work alone without a lot of opportunity for face-to-face interaction. All of these perks make video gaming a great hobby, giving you a solid argument for grabbing the controller when you're looking for downtime after work. If you are looking for a hobby that can improve dexterity and reflexes, give your brain a break and provide some light exercise for your upper body, give fishing a try. And, of course, we can't ignore the benefits that come from a change in scenery that allows you to get outside, take in nature and breathe in the fresh air. Fishing is also an excellent way to practice patience, learn perseverance and increase your level of independence, making it a great hobby for any entrepreneur. The most physical hobby on our list, cycling can make you fitter, happier and more productive. A cycling hobby can also improve your heart function, boost brain power and improve your overall health. Since cycling is a cardiovascular activity, it allows your body to release adrenaline. This surge of adrenaline can make you more alert and enhance your reaction time. So you may want to try going for a bike ride shortly before you have your next pitch meeting so you're ready to handle any sales objection you may hear. Keep in mind that you don't have to cycle like a pro to get the benefits from this hobby; you can take advantage of these physical perks by cycling for even 30 minutes a few times a week. There are many benefits of practicing yoga, including flexibility, pain management, building muscle strength, improving posture and improving your breathing. If you have ever practiced yoga, you know that it is also a great way to reduce stress and improve the quality of your sleep over time. Plus, people who practice yoga on a regular basis claim that it increases inner strength, which is perfect for entrepreneurs who want to build their sense of self and confidence levels. Creativity and innovation are powerful traits in business. A recent study found that those who are more creativity are 16 percent more innovative, demonstrating the correlation between the two. If you want to foster your own innovative creativity, the best way to do it is to start working on a creative hobby, such as painting. Painting also has many of the benefits of some of the other hobbies listed here, including inducing relaxation, improving focus and concentration and improving mental health. This hobby has also been shown to build emotional intelligence, which is invaluable for those in the business world. Aside from the more obvious benefit that cooking provides, which is nourishment that can improve brain function, cooking has also been tied to generating feelings of control and improving mood, in a way that is similar to meditation. If you are cooking for—and with—your family, this hobby can also provide added time for connection to loved ones and a clear disconnection from work. This hobby can also boost your levels of creativity and sense of adventure, especially if you like to depart from a written recipe and try some dinner inventions of your own. You probably do quite a bit of reading already as an entrepreneur, but if you choose to pick up a book after work—especially literary fiction—you are setting yourself up for two huge benefits. First, you can improve your vocabulary by reading works written by different authors focusing on stories about different times and places. Second, going back to the emotional intelligence we mentioned above, you can significantly increase your levels of empathy and emotional intelligence by reading literary fiction books. Not to mention this is a great hobby that allows you to unwind and turn off your brain after a particularly stressful day as an entrepreneur. Each one of these 10 hobbies not only provides benefits that you can translate into added success in your business, but they also provide an excellent way to take a break from the pressure of being a business owner, help you reduce stress and avoid burnout. After all, couldn't you use a little more relaxation in your life, especially if you can use that downtime to develop skills you can leverage in your day-to-day work life? What Motivates You in Your Small Business? Can You Believe These 12 Wacky Businesses Actually Make Money?